Britain hasn't got any talent, but it does extend a welcome to some Hungarians who do. That was the conclusion from the final of BGT won by the shadow dance troupe Attraction. Although the show was stolen by an impromptu spot of performance art when a rejected contestant threw eggs at Simon Cowell. Violinist Natalie Holt had been rejected with string quartet Raven during last year's series. She was in the orchestra this year and seized her latest chance of nationwide TV exposure by lobbing the makings of an omelette at Cowell. Cowell didn't press charges. "I sent a tweet yesterday saying I don’t like eggs," he said. "I really don’t like them now." Holt later admitted that the stunt had been silly. "As far as she was concerned, it was just a prank," a BGT source said. Judge Amanda Holden was charmlessly scathing. "The only person who has egg on her face is that stupid cow," she said. Cowell later made a weak gag about the "eggs factor". Hot favourites Attraction adjusted their act for the final with a shameless attempt to win over the UKIP types who might not like their foreignness, throwing a lot of very patriotic shapes, including Winston Churchill and the Queen. Unlike their earlier performances, it was dumb and obvious, which shows a canny appreciation of the voting audience, and duly triumphed. Attraction's leader Zoltan Szucs said: “We love the British people and just want to thank them for accepting us and allowing us to live our dream. If anyone questions us being on the show, I would say 'I respect you and I hope you respect me'. I believe this is an international competition." Sure, that 'Britain' bit in the title can be misleading. Last year's BGT came to the conclusion that British humanity was talentless but the country could boast a gifted dog. 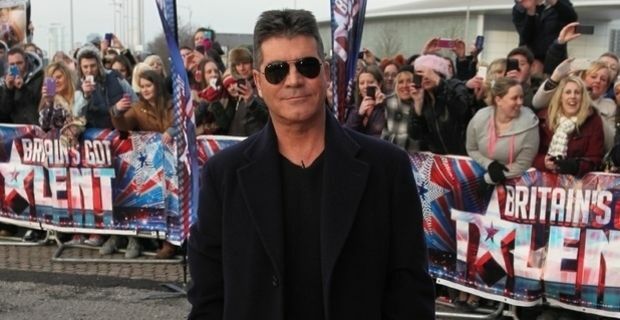 On that occasion the rictus grin on Simon Cowell's face betrayed his reluctant acceptance that he couldn't sign a performing hound to a Syco recording contract. He applauded gamely again this year, although the opportunities for commercial exploitation of a shadow dance show must also be limited.